Oil prices could be headed much lower. With this, don’t be shocked to see oil-related investments doing poorly. From its highs around $77.00 a barrel, the West Texas Intermediate crude (WTIC) oil price has fallen below $66.00. This represents a decline of over 14%. As oil prices have come down, oil stocks have tumbled, too. Here’s the thing, the decline could get much worse. The oil market is going through a basic economic problem: there’s too much supply and the demand could be dwindling. This disparity could turn out to be really bad for oil prices. Oil production is on the rise. Consider the United States; it’s producing a record amount of oil. Just look at the chart below to get some idea. 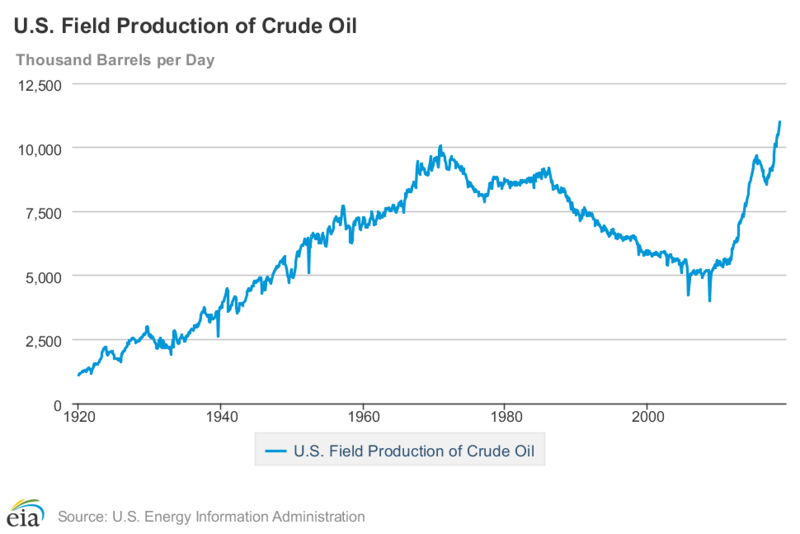 U.S. oil production has shattered records. Between January and July 2018 alone, U.S. oil production has increased by close to 10%. And it doesn’t look like it will calm down anytime soon. But don’t just look at the United States. If a country produces oil, chances are it’s producing more now than it was a few years back. Saudi Arabia, in the midst of all the scrutiny it has been facing due to the recent killing of a Washington Post journalist, has come out and said it will produce more oil. Prior to this, it was widely believed that the monarchy would use oil as a weapon to remain relevant. Production increases make sense too; oil prices are high, so why not extract as fast as you can and get a better price? On the other hand, the oil demand side doesn’t look that great. Consider the chart below. 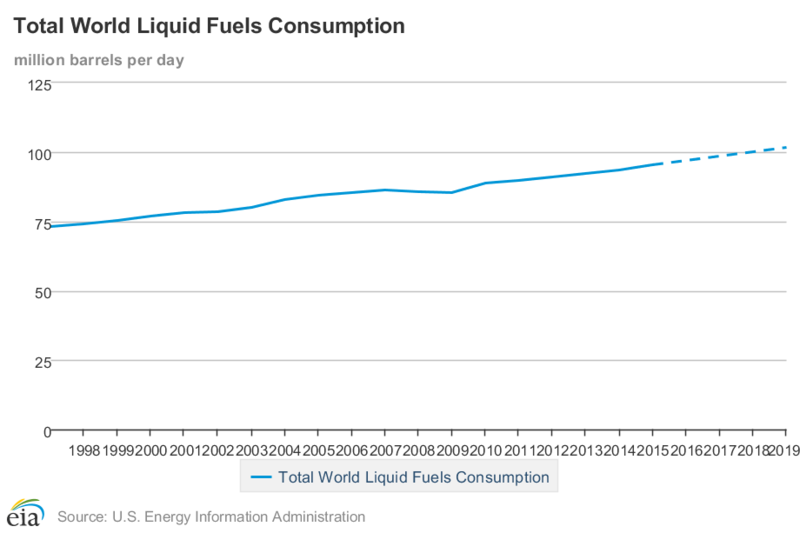 It plots the U.S. Energy Information Administration’s global oil consumption. It projects the demand until 2019. Between 2018 and 2019, oil demand is expected to increase by just under 1.5%. Mind you, these projections tend to be optimistic and get revised often. Major economic hubs in the global economy are facing headwinds. The U.S. may be doing fine, but China isn’t; it’s slowing down. China is a massive consumer of oil. As its economy slows down, will it use as much oil? It’s highly unlikely.